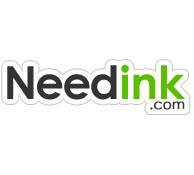 Established in 2001, Needink.com is the number one online destination for premium-quality printer ink and toner cartridges. We’ve been providing our customers with an outstanding level of service and the highest quality products for nearly two decades. This is a testament to our long-term dedication to providing the best customer care in every aspect.